Written by Hannah Osborne for International Business Times. Originally published November 30th, 2014. “A steamy selfie campaign has been launched to help eliminate the stigma surrounding HIV. 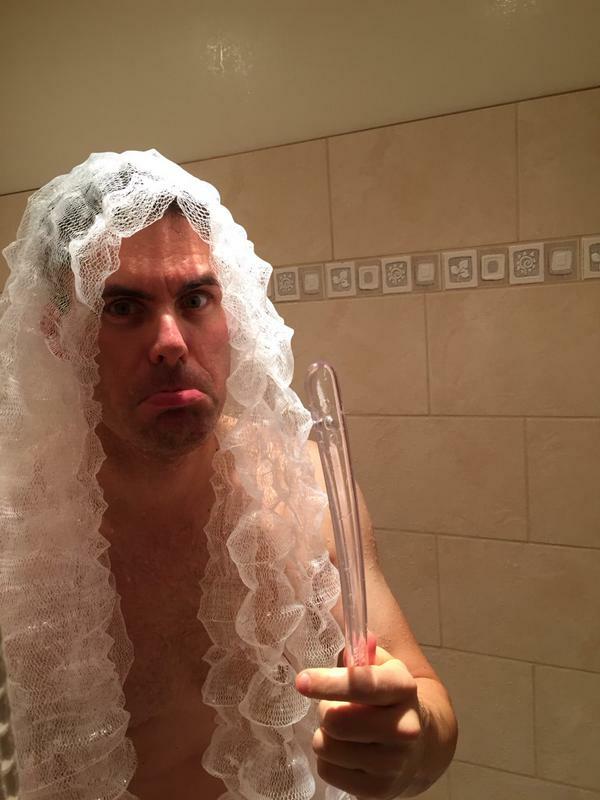 The campaign, #weareALLclean, encourages men to take pictures of themselves in the shower. It was launched by Jack Mackenroth, an American swimmer, model and fashion designer who was the first openly HIV-positive contestant on US reality show Project Runway. Money raised from the campaign will go to HIV/Aids nonprofits amfAR and Housing Works. The target is $1,000,000 (£640,000, €804,000). Mackenroth partnered with Moovz – one of the world’s leading gay social apps – to launch the campaign. It was launched ahead of World Aids Day, which is held on 1 December. “I was inspired by the use of the word ‘clean’, especially common in gay culture, to describe oneself as STI/STD free. This implies that HIV-positive people are somehow ‘dirty'”, Mackenroth said. To see steamy, soapey, non-explicit pictures of showery people, and maybe even to submit your own, check out the rest of the post here! We love how Mackenroth is trying to destigmatize the idea of having HIV/AIDs, and think it’s so important to reiterate that anyone, regardless of their health, is clean.